Used for short/long term urine drainage. Silicon elastomer coated smooth surface for atraumatic catheterization. 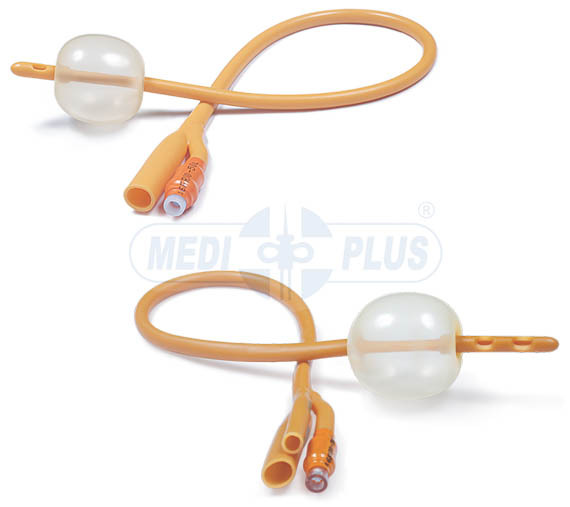 High strength polymer layer in the middle layer of the catheter ensures wider inner diameter and hence high flow rate. 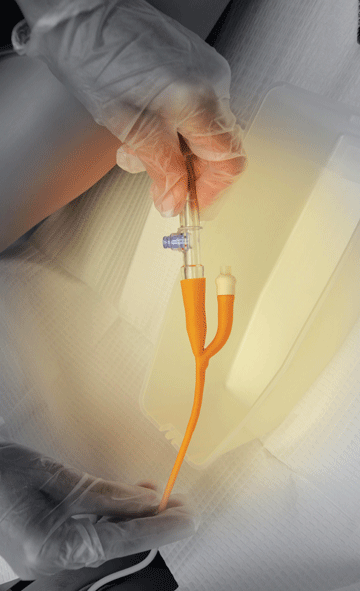 Minimizes encrustation and subsequent catheter blockage and failure. Smooth eye, ultra thin highly elastic balloon and hard non-return valve for trouble free inflation and deflation. Coned distal end provided with burr free eyes for atraumatic intubation. Hard valve ensures easy inflation and deflation of balloon. Sterile / Disposable / Individually Packed.